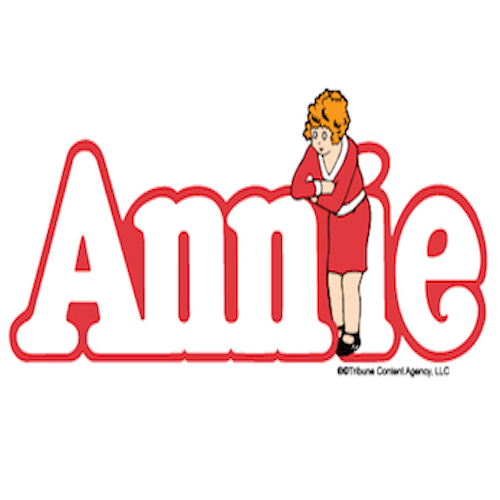 The St. Mary Cathedral Players present Annie November 15th through November 18th at Gaylord St Mary School. This Tony Award winning musical will delight all with its award winning score including the songs "Tomorrow", "It's a Hard Knock Life" and "I Don't Need Anything But You." Join us for an evening that will be sure to warm your heart! Doors open 6:30 PM! Join us for The St. Mary Cathedral Players present Annie November 15th through November 18th at Gaylord St Mary School. Based on the popular comic strip, Annie has become a worldwide phenomenon and was the winner of seven Tony Awards, including Best Musical. The beloved book and score by Tony Award winners, Thomas Meehan, Charles Strouse and Martin Charnin, features some of the greatest musical theatre hits ever written, including "Tomorrow."